Usually 76 night, and 77.5 day. That's average. I run T5's. 8 hours a day. Yellow Brick Road updated colony pic. This one only seems to get better and better. Your tank is amazing, could you tell me what your magnesium and alkalinity levels are at in your tank. Mag is between 1300 and 1400. I don't keep a close eye on it. There should be one somewhere in this thread. I'm in the process of switching my lights from T5's to LED's. I bought the Vertex Lumina 260 which I have turned the white lights down to 30%. I've also added a reefbrite blue XHO LED stripe. A friend of mine is running this system on a mixed tank, 50% are acans and they just pop, the color is terrific. I will post pic's soon. Any thoughts about this set up? These are awesome acans, I always have bad luck with them after 4-5 months. Just up and disappear one day. We need an update here... Any new morphs chaps? where can you buy some of these nice acans without spending hundreds of dollars? Your LFS (Local Fish Store) or Frag Swaps. The Best Way is with a Frag Saw. It is alot easier, faster, and less stressful on coral. 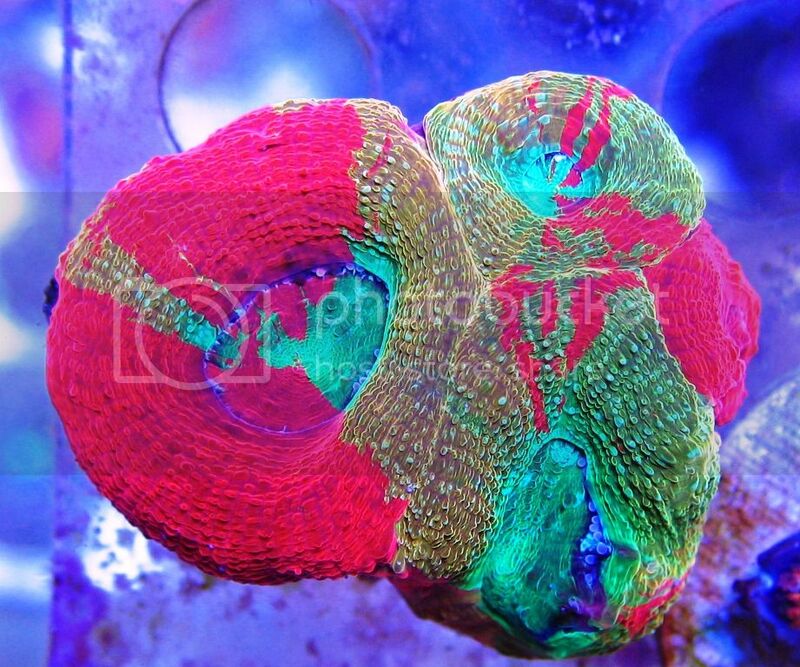 You can cut around the polyps of coral very easily so they are less likely to die. Darrell, i have probably asked before but what T5 tubes are you running at present as i know you changed the combo a while back? I am about to purchase a unit and not sure on tube choice. My current Eco-Lamps KRV5 is run on uv and blues only so id like to emulate that on the T5 setup. Not sure about height, it would come with legs as i cannot hang a unit from the wall or ceiling. I have an 8x24w ati power module but cannot hang it. Worried a little about par from 6 t5 tubes vs my led which is around 208W but i only run that at 40% blues... How high is yours on that smaller tank? And by the way, your pieces are looking awesome as always! Last edited by UKMarineGuy; 11/17/2015 at 05:26 PM. I picked up a 4 bulb LED powermodule. Can anyone suggest what bulbs I should get for the T5 to enhance color? I only got the 4 bulb because I have a 30L. 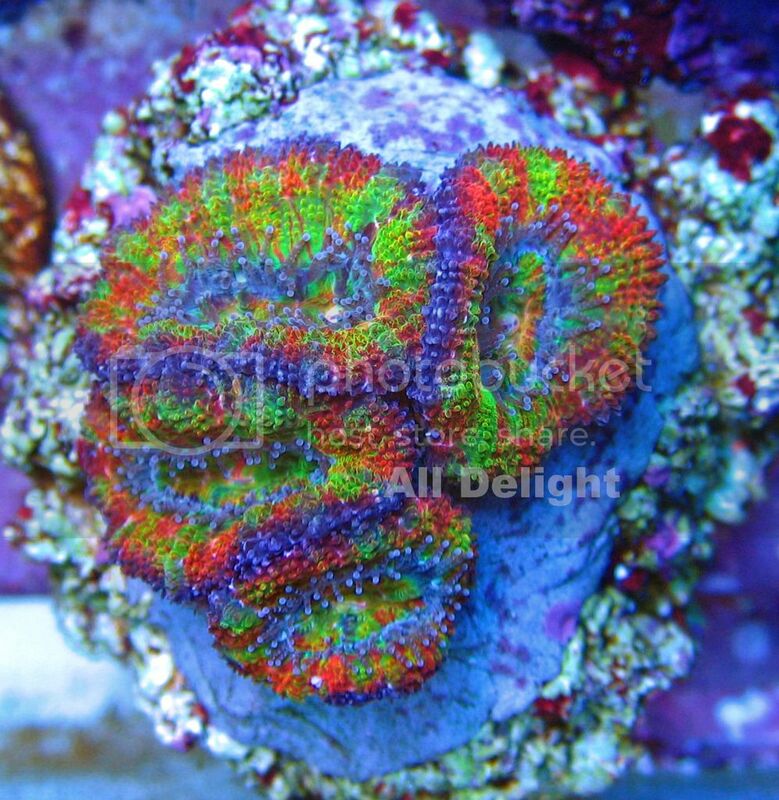 Wow those are some pretty amazing Acan's. I use inland bandsaw or gryphon. Hey sorry for the long 6 month later reply. I kinda loss track of this thread. Maybe too late to answer, but it wont hurt if I do. For 8 bulb, id just run 6 bulbs. 4 blue plus, 1 purple, 1 actinic. I'd do 3 blue plus, 1 actinic. Or all Blue plus. Can also add reef brite xho led blue for POP.